June 1992: Lou Pearlman, looking to form the next teen pop sensation, places this ad in the Orlando Sentinel: "Teen male vocalists: Producer seeks male teen singers that move well between 16-19 years of age. Wanted for New Kids-type singing/dance group. Send photo or bio' of any kind to…." August 1992: Fourteen-year-old AJ McLean and nineteen-year-old Tony Donetti (a.k.a. Howie Dorough) audition for the group and are asked to join. October 1992: Twelve-year-old Nick Carter auditions in spite of his tender age. Two other members, Sam Licata and Charles Edwards, temporarily round out the group. March 1993: Sam Licata leaves the group for personal reasons. Charles Edwards leaves because of difficulties with his voice. Kevin Richardson auditions and joins the group, settling in immediately. The search is now on for the fifth and final Backstreet Boy. April 1993: Kevin calls his eighteen-year-old cousin Brian Littrell at school and asks him to audition for the group. Brian finds himself on a flight to Orlando at 6 a.m. the next day. May 1993: The Boys perform their first big concert at Sea World, Orlando to a crowd of more than 3,000 teenagers. Much to the amazement of the group, the audience went wild. Summer/Fall 1993: The Boys continue to perform in a variety of venues from shopping malls to schools to a high-profile gala AIDS charity hosted by Whitney Houston in Fort Lauderdale. February 1994: Executives from Zomba/Jive catch the Boys performing in Cleveland. They sign the Boys to their first record deal, but it would be a year before they recorded their first single. August 1995: "We've Got it Going On" is released as a single in the U.S.A, but it only climbs to number 69 on the Billboard charts, resulting in the cancellation of all plans for a promotional tour to plug the new single. October 1995: "We've Got it Going On" is released in Europe and climbs to the top ten in Germany, earning them their first gold disc. November 1995: The Boys begin touring the U.K. with the Smash Hits Roadshow, winning over audiences and critics. 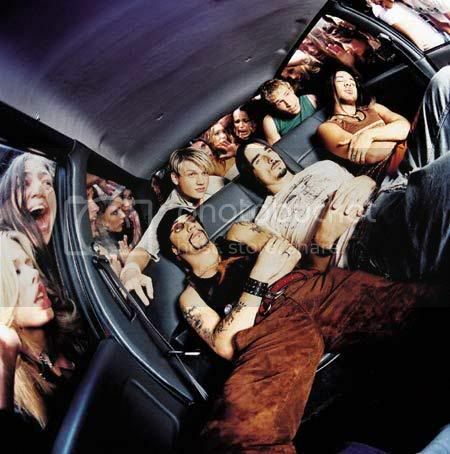 May 1996: Their debut album, "Backstreet Boys", is released in Europe. The album would go on to earn gold & platinum awards in 38 countries, with 8 million copies sold. November 1996: The Boys perform a tour of 14 cities in mid-sized arenas and theaters in the U.K. and Europe. The British leg of the tour is a success and the re-released "I'll Never Break Your Heart" single climbs to number 8 in the U.K. March 1997: "Anywhere for You" climbs to number 4 on the U.K. charts. June 1997: "Quit Playing Games (With My Heart)" is released in the U.S. and quickly climbs to number 2 on the charts. August 1997: The Boys release their first U.S. album, "Backstreet Boys". The album would go on to sell nearly nine million copies in the U.S.A. and become the number 3 album of the year. May 1999: The Boys release "Millennium", which sets the record for first week sales in the U.S. at 1.1 million copies. 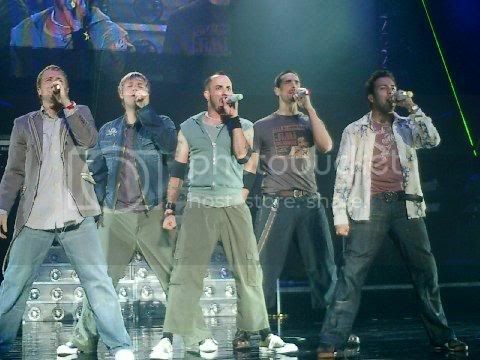 June 1999: The Boys travel to Belgium to begin their "Into The Millennium" tour. One month after its release, Millennium still has a solid hold on the #1 spot on the Billboard album charts. January 2000: The Boys and their producers are nominated for five Grammy Awards including Record, Album, Pop Album, Song and Pop Song of the year. November 2000: The Boys release "Black & Blue". It sells over 1.6 million copies in the USA in its first week and debuts at the top of the Billboard charts. To promote the album, they embark on their Around The World In 100 Hours tour, in which they traveled to five continents and six countries in just four days. December 2000: Black & Blue is certified 8x platinum by the RIAA. 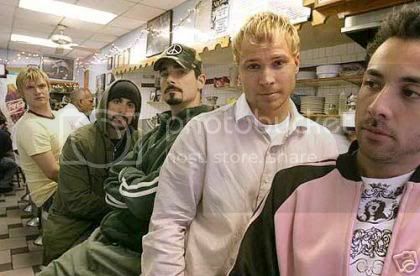 July 2001: Kevin, Howie, Brian and Nick make an unplanned visit to TRL to announce that the Black & Blue tour is to be put on hold, while AJ enters an undisclosed rehabilitation center to receive treatment for anxiety, depression, and alcholism. The tour is postponed until August. October 2001: The Boys release The Hits - Chapter One, a compilation CD of their greatest hits. The album debuts atop the Billboard charts. 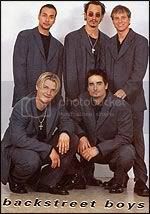 March 2002: The Boys part ways with their management firm but Nick, intent on releasing a solo CD strikes up a solo management deal with The Firm. October 2002: Nick releases his solo record, "Now Or Never". December 2003: AJ appears on Oprah to talk about his drug and alcohol addiction, and the other guys surprise him by showing up. They all collectively decide the time is right to start up another album. March 2005: The Boys announce that their new album is called "Never Gone", and will be released on June 14th. June 2005: The Boys release Never Gone, which sells 290,000 in its first week and debuts at number three on the Billboard charts. August 2005: Never Gone is certified platinum by the RIAA. June 2006: Kevin Richardon announces his departure from the Backstreet Boys. Fans from all around the world are shocked at the sudden news. The announcement on the official site says that Kevin gives his blessing for BSB to continue without him. i love their songs too...my fave is drowning...do u have any favorites??? Old Man Skit-Watch this...its way too funny!! Here are the lyrics to all our favorite songs! hey yo...my friend gave me their new cd...and i fell in love wit them all over again also.....i remember back in the day they were the only american band that i listened to...i knew all of their lyrics by heart wen i was only like 6 or 7....my older cousins used to listen to them...and then years later i hear them again and i'm like omg!! my fave person is brian!! he's soooo funny!